Maintenance crews have been working hard to get the Banadad Ski Trails’ twenty-six miles open for skiing. This past weekend fifteen volunteers from the Minnehaha Academy Nordic Ski Team widen and cleared the center brush along the first two miles of the trail’s west end. 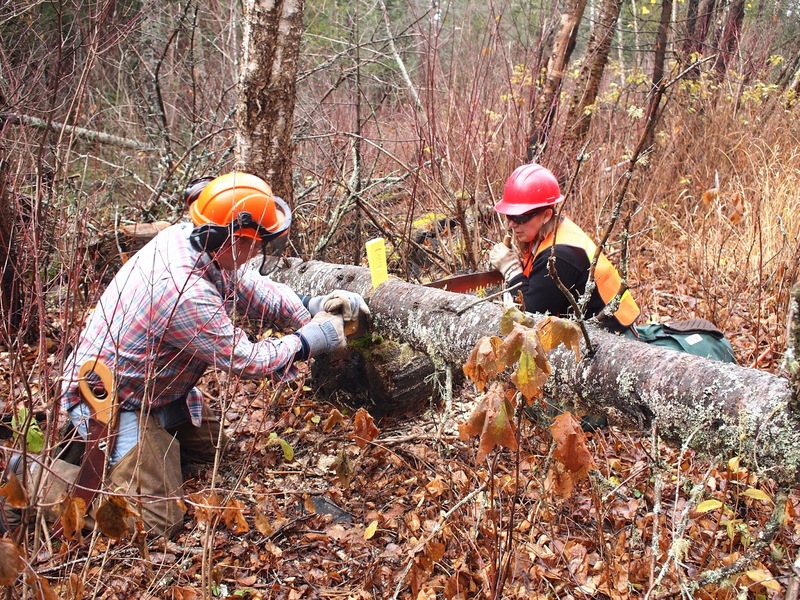 While all the trees that had fallen on this section of the trail were cleared previously by the North Star Ski Turing Club on November 30, the ski team still had to clear several new down trees. That same day Andy Jenks, president of the Banadad Trail Association (BTA) and his wife Julie worked on the east end starting at the Meads Lake Portage the pair were able travel about one and three-quarter of mile. They also had to remove some thirty newly fallen down trees from this section of trail. This section of the trail was completely cleared during the BTA’s Work Weekend on November 24. Both trail sections were in the BWCA. 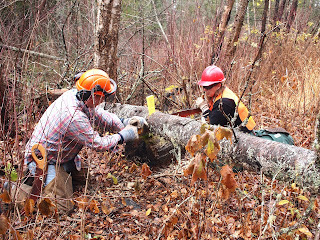 Volunteers also worked on several trail sections outside the BWCA. The newly down trees, the volunteers found, likely had came down due to the soaking rain, wind and heavy wet snow that occure just after the earlier crews were on the trail. Volunteers, since September, have now but in 277.5 hours clearing some sixteen mile of the twenty- six mile of the Banadad Trails. However it clear a lot of work remains before the Banadad can open for skiing. This remaining clearing will be taken-on be Boundary Country Trekking’s trail crews with some help by additional volunteers.